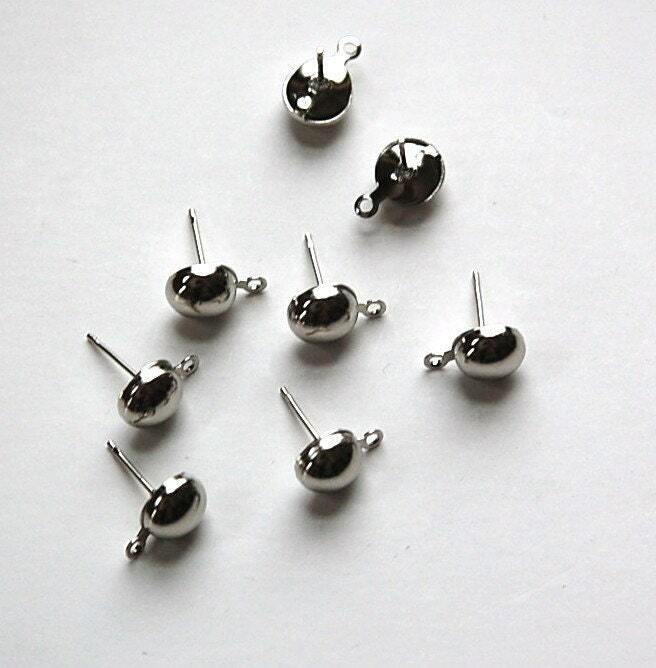 These are surgical steel earring findings. 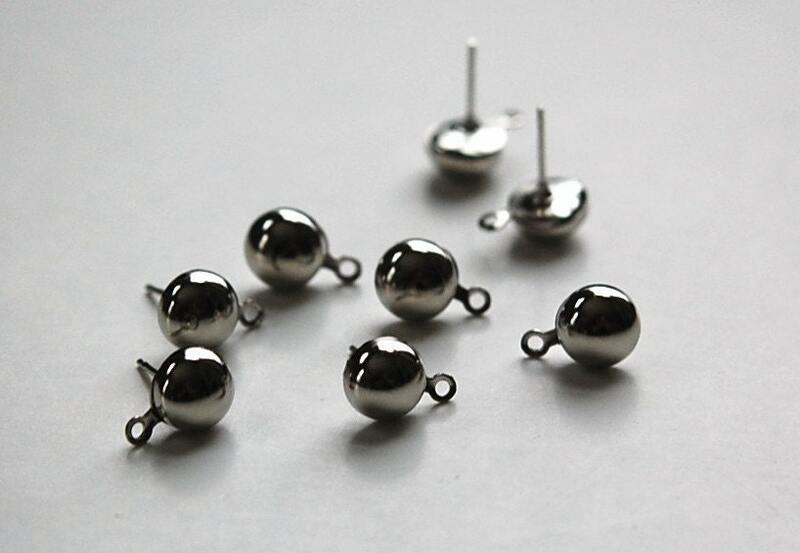 These posts have an 8mm domed front with a loop below for attaching a yummy treasure. I do not have the ear nuts to send with these. You will receive 12 pieces/6 pairs. Just as described and perfect for my next project. Shipped quickly too - thanks! This seller always gets my orders out quickly.